If you truly believe that your stuff (your story) is not worth strutting, then you should stop and find something else to do with your time. There are times when we should stop, take a breath and reconsider what we want to achieve. If you are not proud to strut your stuff, why would anyone else be interested in what you have to share? Could it be that the stuff that you are trying to strut is not truly ‘you’ and you need to find a truer version of your story to strut? If that is so, keep trying until you come up with the stuff you are proud to strut. What does this mean practically? We all have bills to pay and prior commitments to keep. It may mean that you have limited time initially to work on refining your stuff to strut. Regardless, make the time. This could mean missing out on some things that you would love to do. Like skipping your favourite TV show or not going out with friends for coffee. 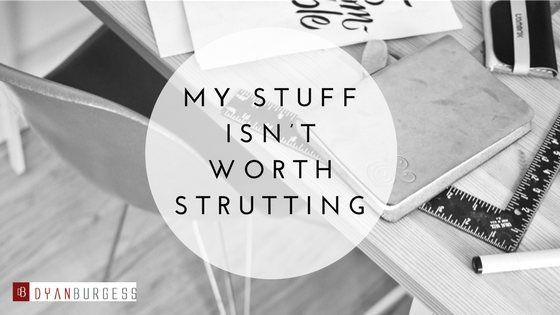 However, how important is it for your to share your story and to strut your stuff? If you are quick to quit, maybe this is not for you. If you persevere, remember, each apparent barrier is bringing you closer to the right outcome. So the more often you feel that you fail, the sooner you are going to see success. One of my favourite quotes is “Success is going from failure to failure without a loss of enthusiasm” – Winston Churchill. Reflect on this quote. It is said succinctly. Consider that the word “failure” does not mean that you have “failed” rather that you are one step closer to success. That you are aiming to find the best iteration that works for you and what you want to strut. So, if it happens that what you tried was not right, all you need to do is try again. 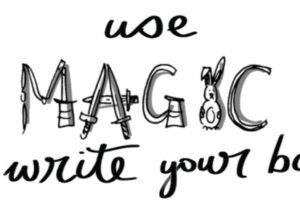 In other words, continually adjust your story until you are proud of it. Having said this, you do not want to get caught up seeking perfection and never sharing your story with the world. If you are finding that you are trapped in the “perfection” cycle, you need to find a mentor or coach to assist you to get you through. You want to get your story finished. 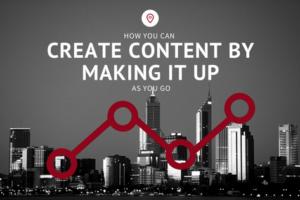 You want to get your story shared. So what will you do to get your story out there? 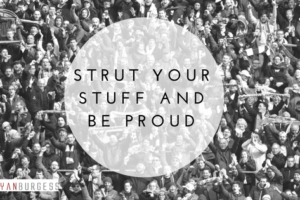 What steps will you take to be proud of your stuff and strut it?